Product prices and availability are accurate as of 2019-04-24 20:56:31 +08 and are subject to change. Any price and availability information displayed on http://www.amazon.com/ at the time of purchase will apply to the purchase of this product. 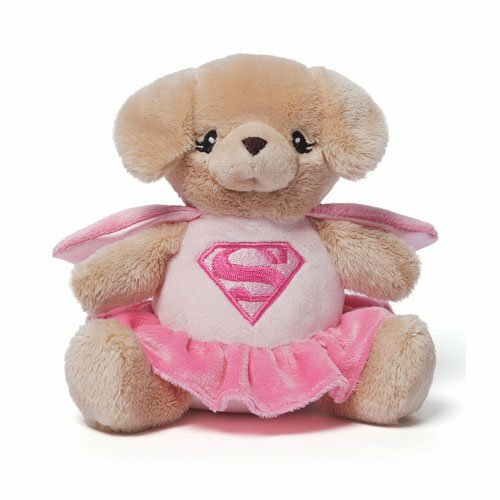 GUND is ready to save the world with help from some of the DC Universe's most powerful superheroes. 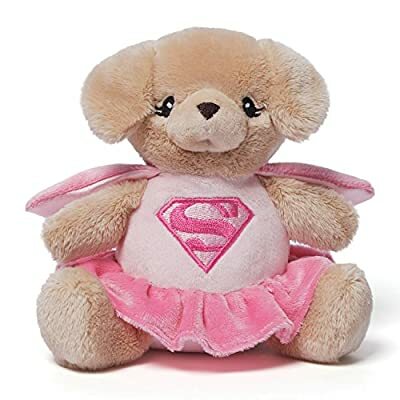 This 5.5" sound toy features a cute puppy dog dressed up as Super girl! When you press the pink "S" symbol, the Superman theme song plays. Surface-washable for easy cleaning. Appropriate for ages one and up. About GUND: For more than 100 years, GUND has been a premier plush company recognized worldwide for quality innovative products. Building upon our award-winning and beloved plush designs, we continue to practice innovation by constantly developing new original and licensed designs to appeal to the next generation of customers. To that end, each one of our plush toys is constructed from premium materials for unparalleled softness and huggability.